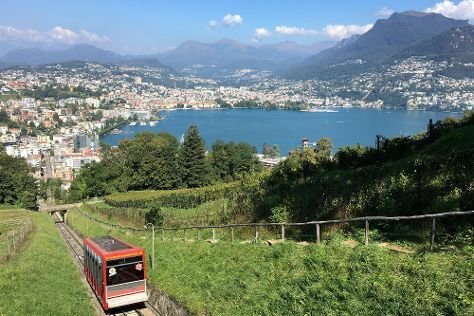 Start off your visit on the 22nd (Fri): make a trip to Piazza della Riforma, then enjoy the sand and surf at Lido di Lugano, and then stroll through Parco Civico. Keep things going the next day: take in the awesome beauty at Monte San Salvatore, explore the historical opulence of Castelli di Bellinzona, and then grab your bike and head to Monte Tamaro. For more things to do, maps, traveler tips, and other tourist information, read our Lugano travel guide. The Route module shows you travel options from your home to Lugano. In July in Lugano, expect temperatures between 32°C during the day and 19°C at night.